ST. LOUIS -- INROADS 2018 Leadership Development Institute (LDI), hosted by Procter and Gamble (P&G) and presented by FedEx, takes place July 19 through July 21, 2018, at the Duke Energy Convention Center in Cincinnati, Ohio. Over the course of three days, more than 500 underrepresented, diverse graduating seniors will gather from around the country to engage in workshops, leadership development, networking forums and unconscious bias training to prepare them for life after college. In partnership with Alignment Strategies, this is the second year INROADS is offering Unconscious Bias Training to ensure students are ready on day-1 to engage in the workforce. "We are honored to be INROADS' strategic partner in presenting our NextGen Unconscious Bias Training™ to its 500+ graduating seniors," said Dr. Vanessa Weaver, CEO of Alignment Strategies. "We firmly believe that enhancing their awareness and skills in mastering Unconscious Biases will accelerate their successful entry into their workplaces. This experience provides a positive, competitive differentiator, making our graduating seniors well-positioned to mitigate Unconscious Biases, which impede ingenuity and innovation; thus, enhancing their contributions to their workplaces." In addition to the Unconscious Bias Training, the CEO Action for Diversity & Inclusion™ "Check Your Blind Spots" tour will stop at LDI, Thursday, July 19. This unique, mobile experience will help INROADS students identify and improve their knowledge of "blind spots" or unconscious bias awareness. CEO Action for Diversity & Inclusion™ is the largest CEO-driven business commitment to advancing diversity and inclusion within the workplace in the U.S. with 450+ CEOs as well as academic and nonprofit presidents pledging to take a specific set of actions to support more inclusive workplaces. INROADS CEO Forest Harper has taken the pledge and continues to lead the way toward true inclusion with programs such as Leadership Development Institute. "Just over 4% of Fortune 500 CEOs are minorities, and research shows us that people of color make up just 36% of the labor force," said Forest Harper, president and CEO of INROADS. "At INROADS, we are working to increase these numbers with our diverse pipeline talent, and we do this through programs just like LDI. Corporations and communities will need 21st century diverse leaders to take our nation into an elevated and increased level of inclusion." The Unconscious Bias Training is an important aspect of LDI. It not only prepares INROADS interns for what they may potentially face in the workplace once they graduate, but it also gives them strong communication skills to be able to effectively communicate on their jobs and eventually lead in their careers. As an INROADS intern, students are connected with some of the world's leading industry innovators. INROADS interns are trained each summer in their local area and at LDI by providing business boot camp styled workshops inclusive of topics such as Effective Communication Principles, Personal Branding, Managing Up, The Attitude of a Leader, Ethical Leadership, Stress Management and other topics related to being successful in a corporate environment. 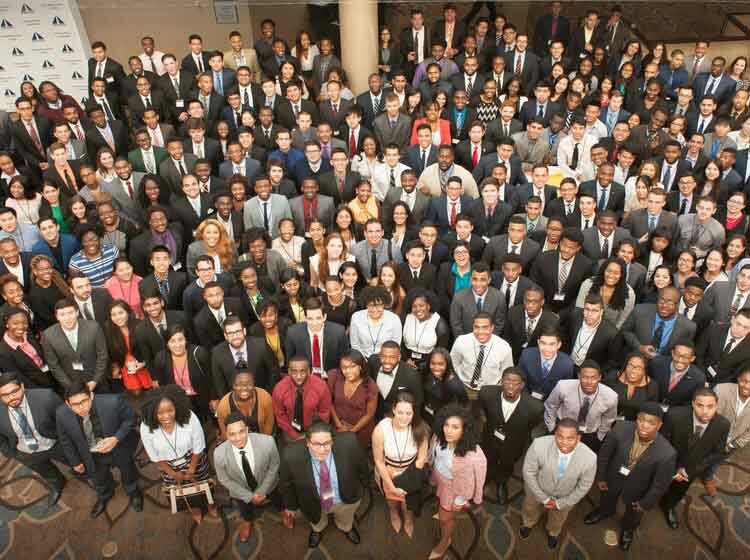 LDI prepares INROADS interns for corporate success and leadership roles. Emily Vu attended LDI in 2017. Now, an INROADS alum, she encourages as many as she can to participate in LDI. "I was able to learn the different valuable lessons that would prepare me for my future career after graduation," said Vu. Find out more about Emily Vu's story here. LDI sponsors include P&G, FedEx, Lockheed Martin, UPS, Harris, Intel, Chevron, Johns Hopkins, Froedtert and Medical College of Wisconsin, and Westfield.